Seller very motivated! 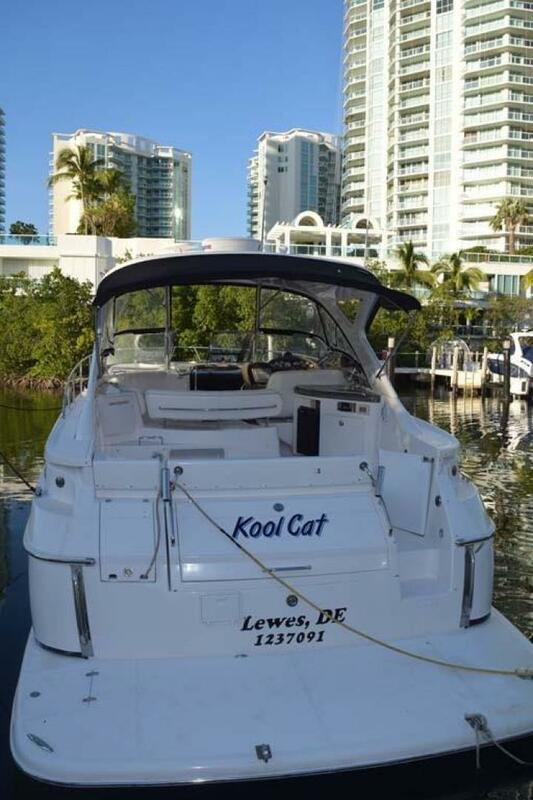 Has bought his next yacht and must sell! 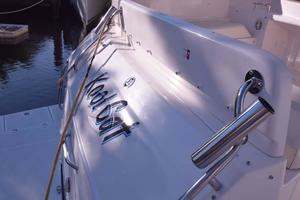 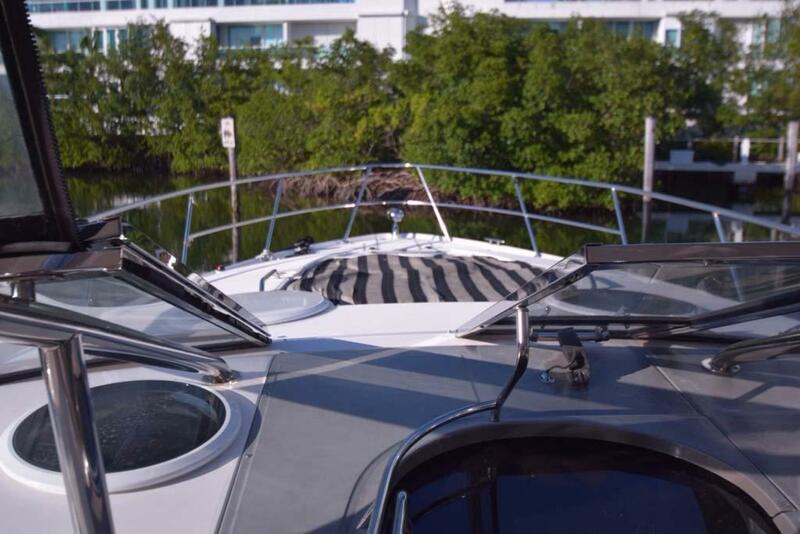 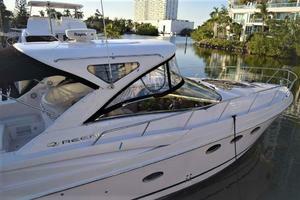 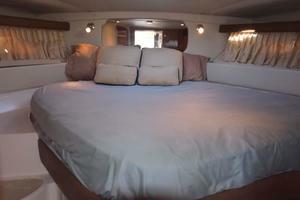 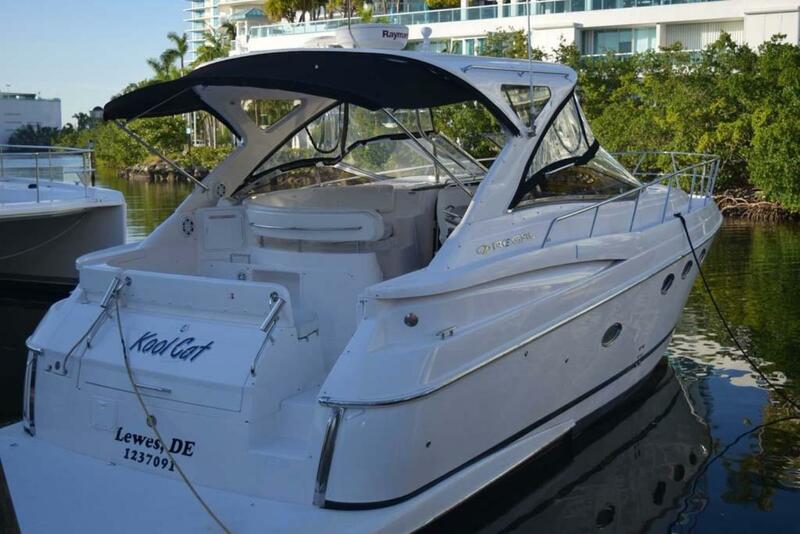 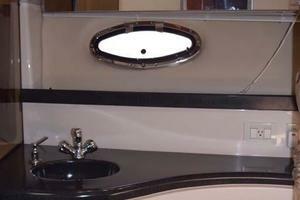 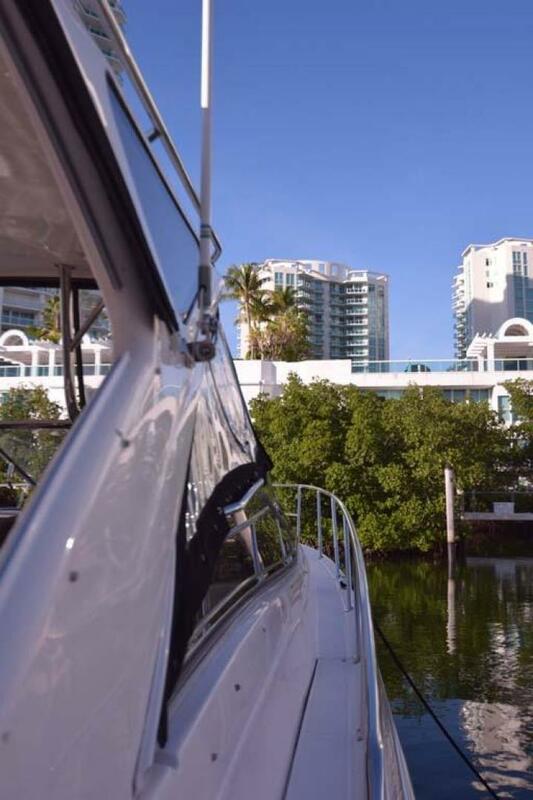 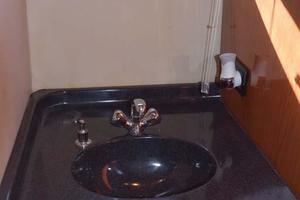 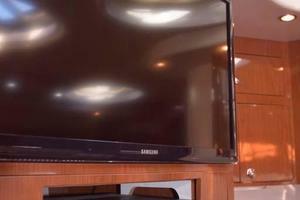 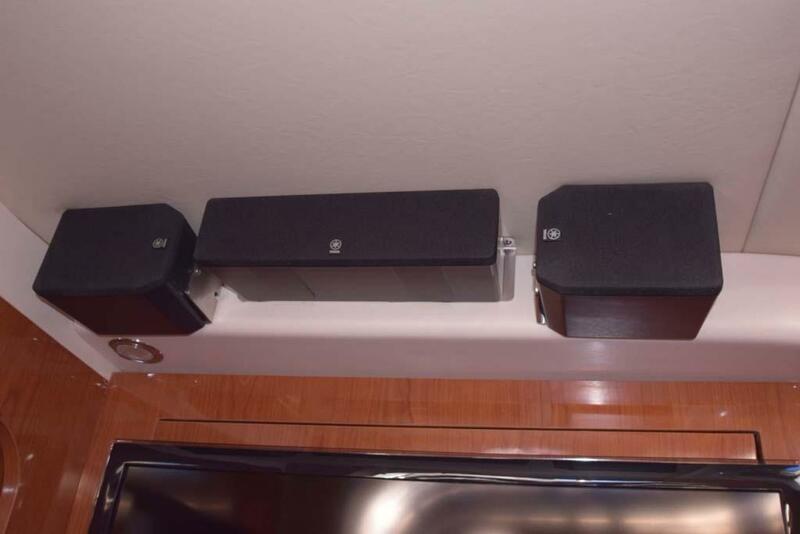 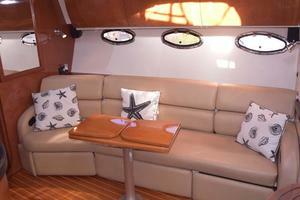 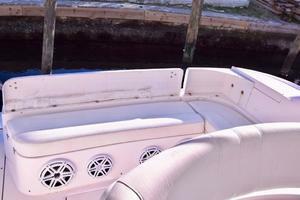 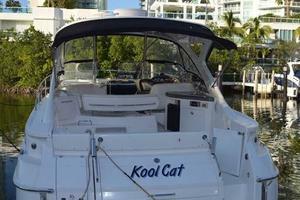 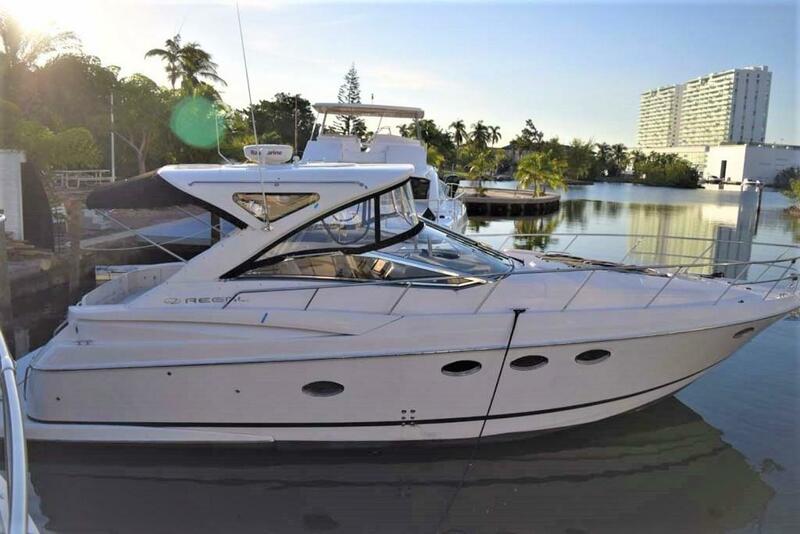 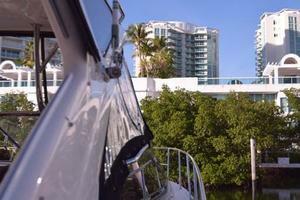 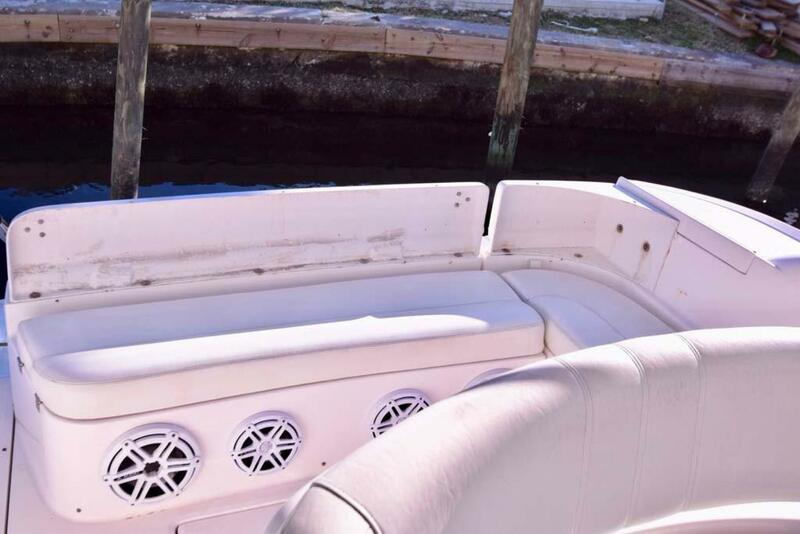 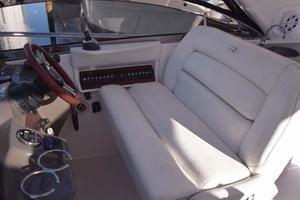 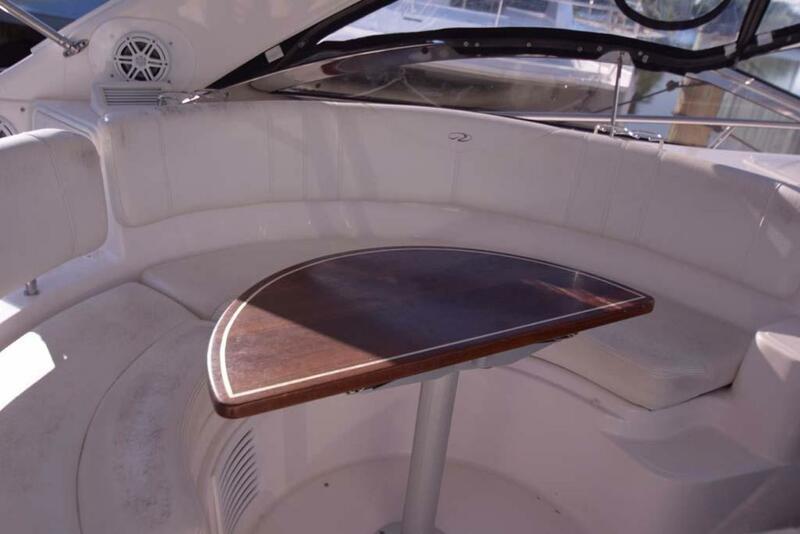 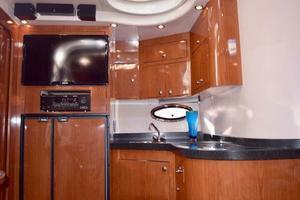 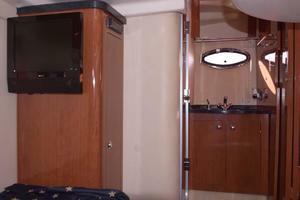 -Single owner kept at home dock and meticulously maintained. 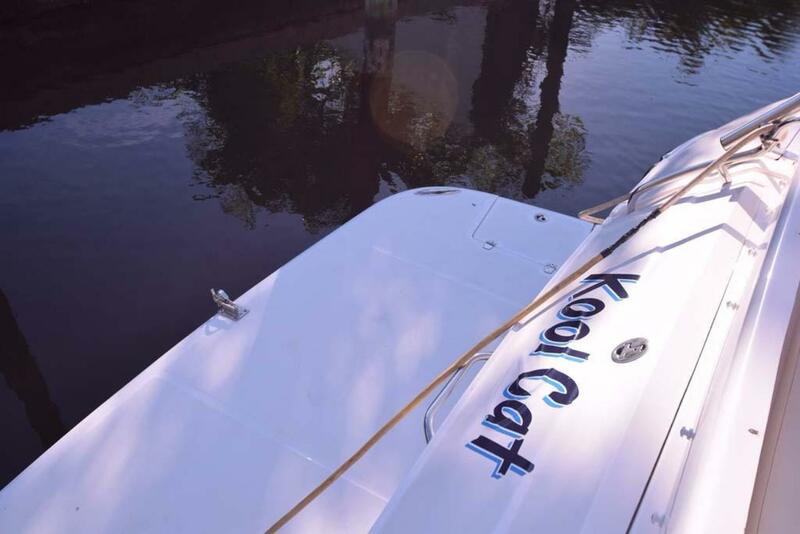 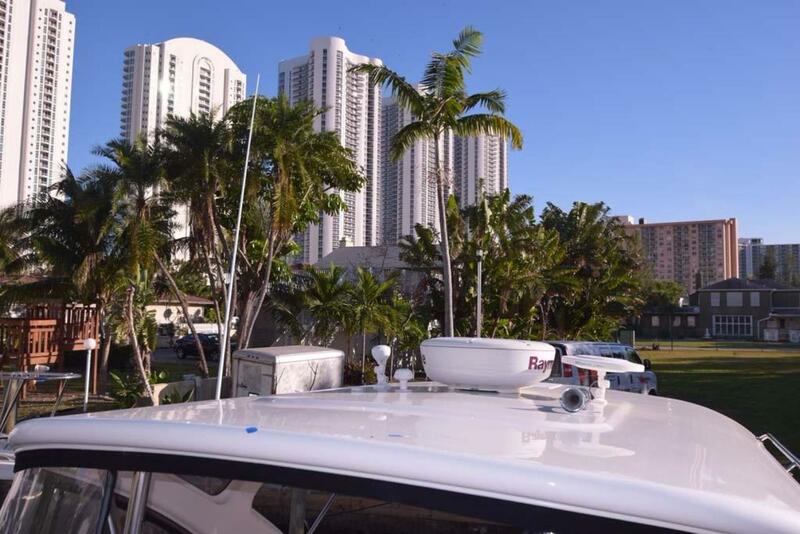 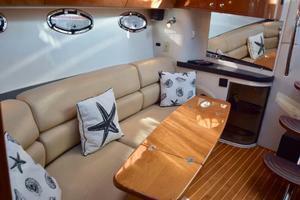 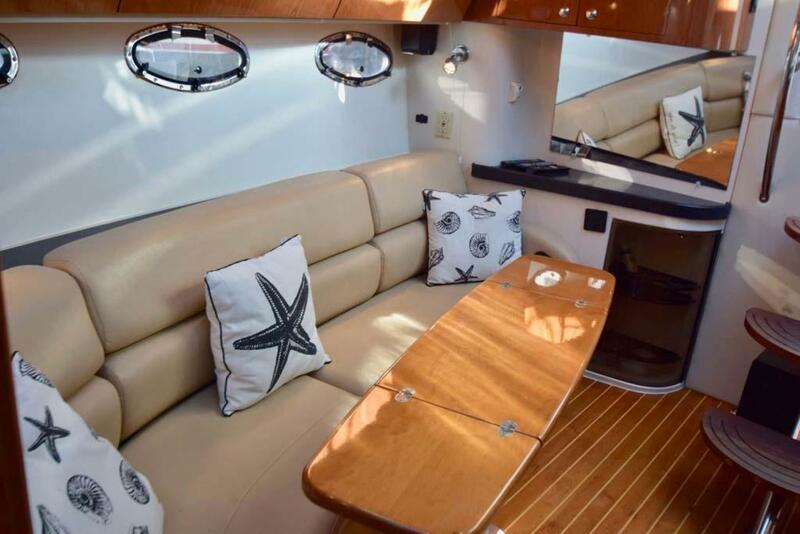 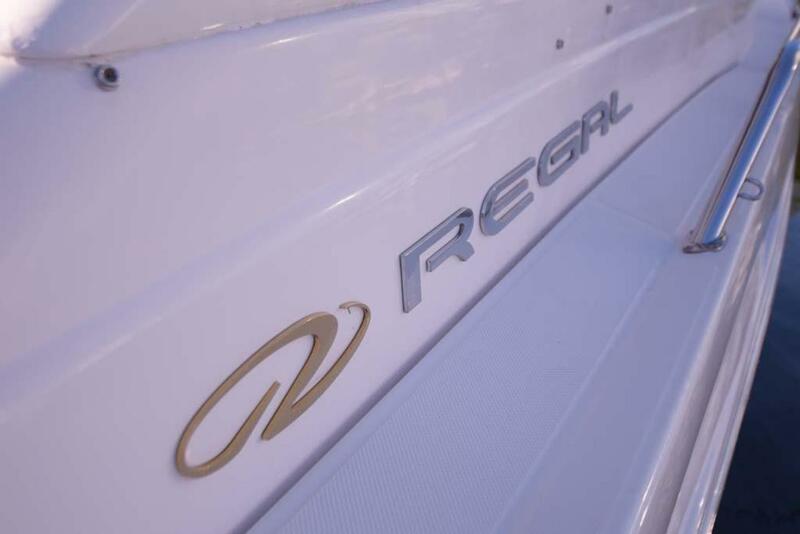 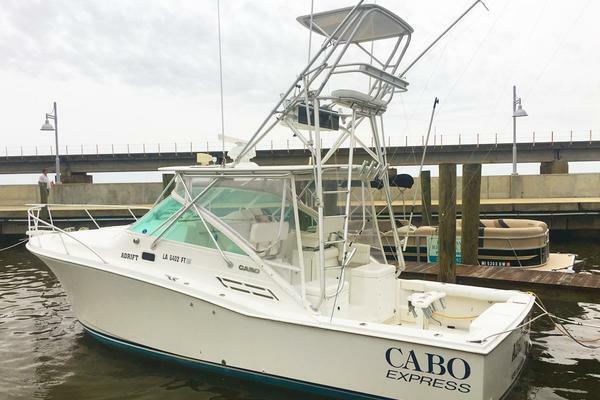 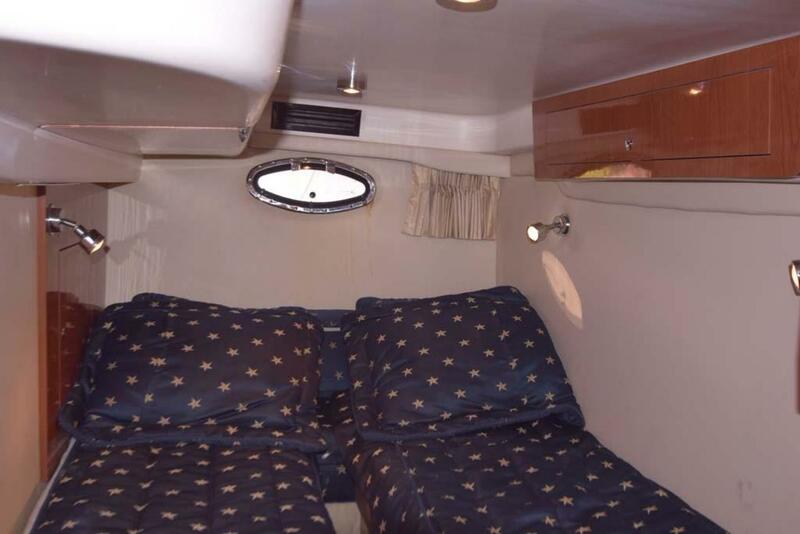 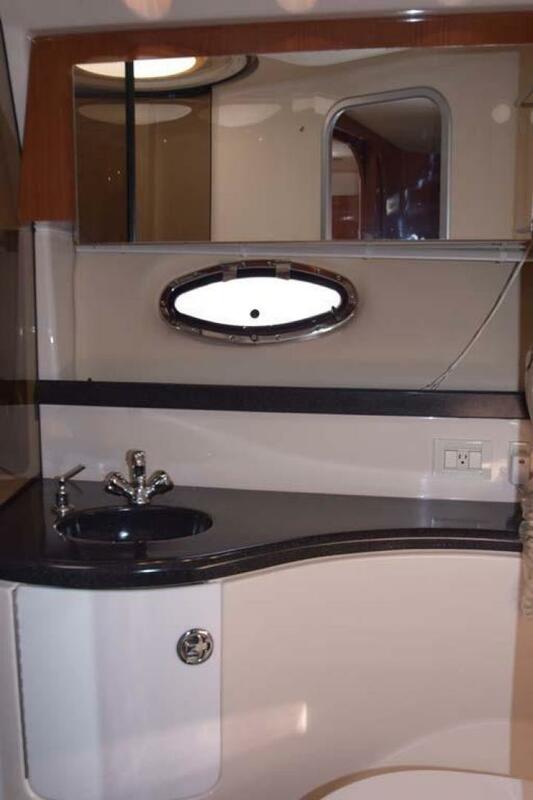 Built on a modified Vee hull with a solid fiberglass bottom, her two stateroom interior differs from other mid-range cruisers in that a second head is included within the aft stateroom. 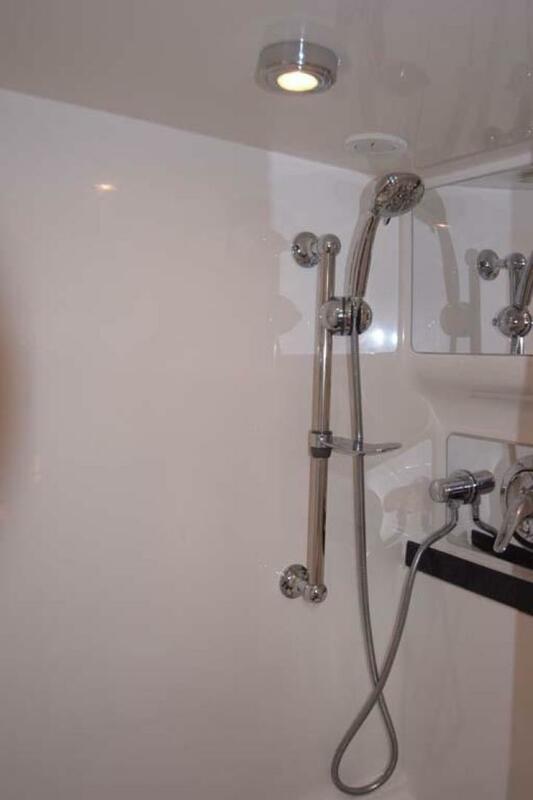 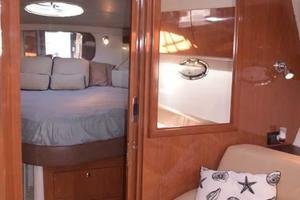 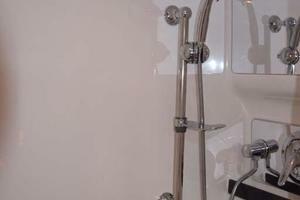 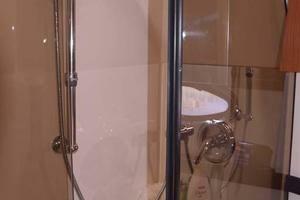 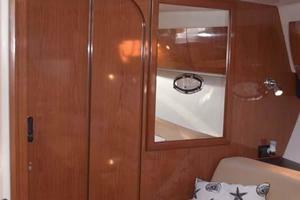 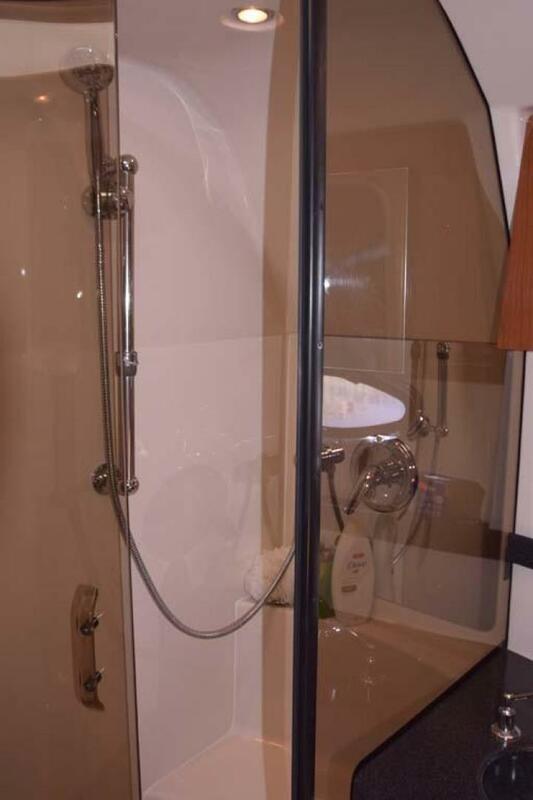 Both staterooms have sliding privacy doors. 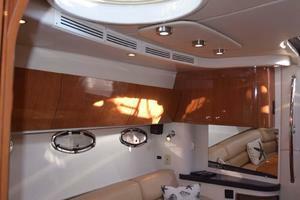 Salon has a hardwood floor that accents the high gloss cherry cabinetry. 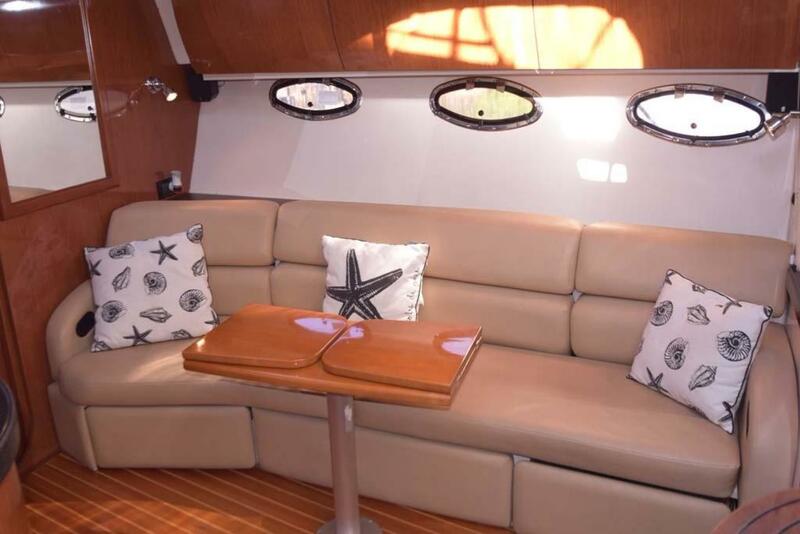 In the cockpit, a luxurious semicircular settee offers plenty of guest seating. 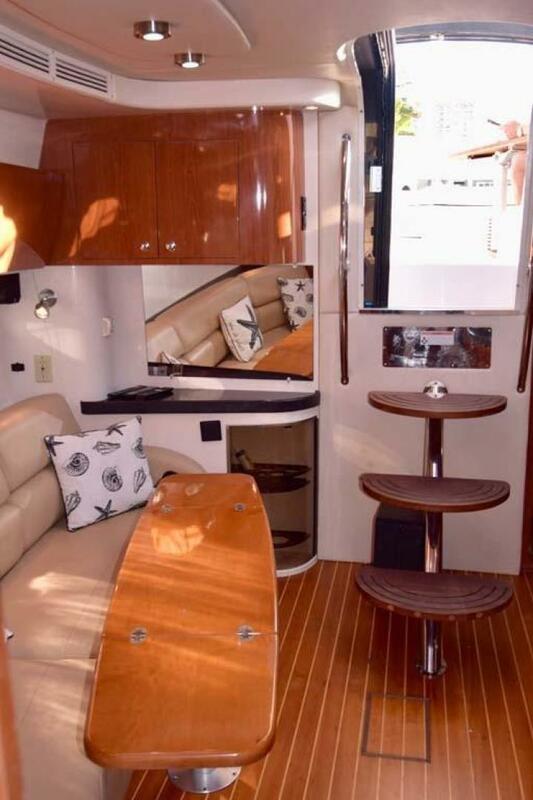 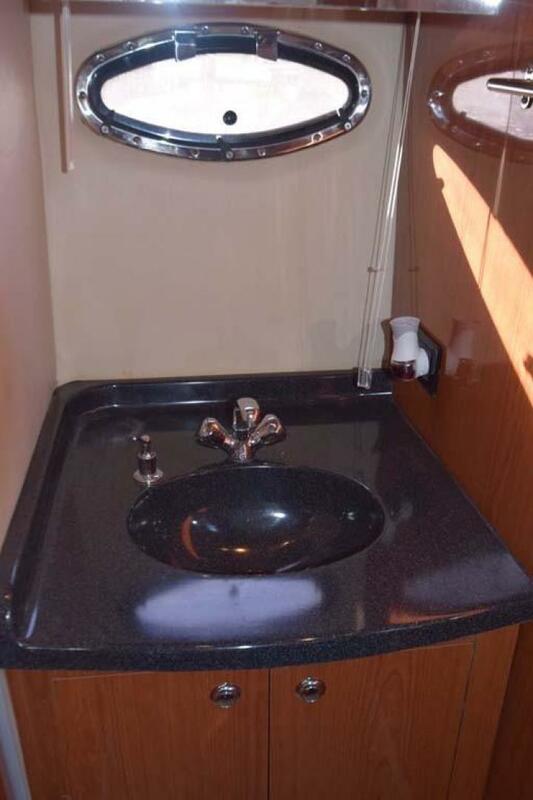 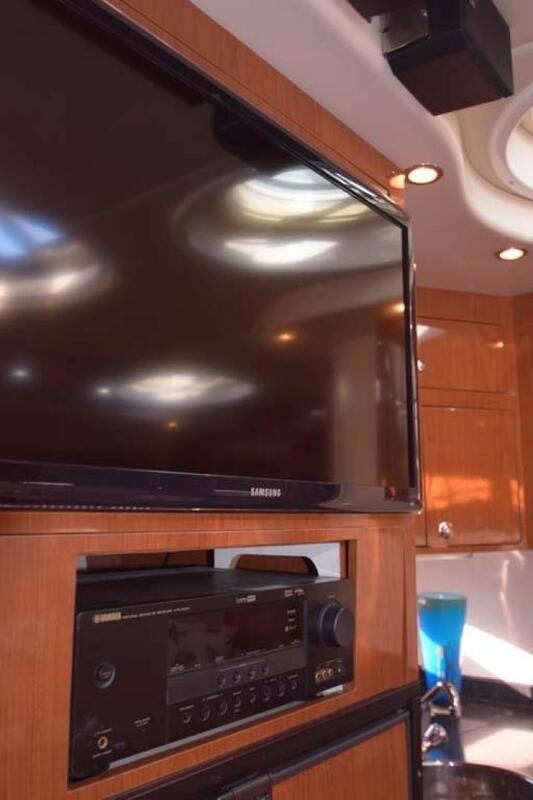 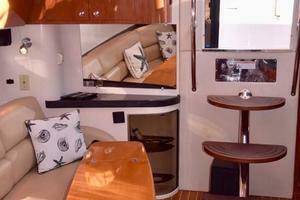 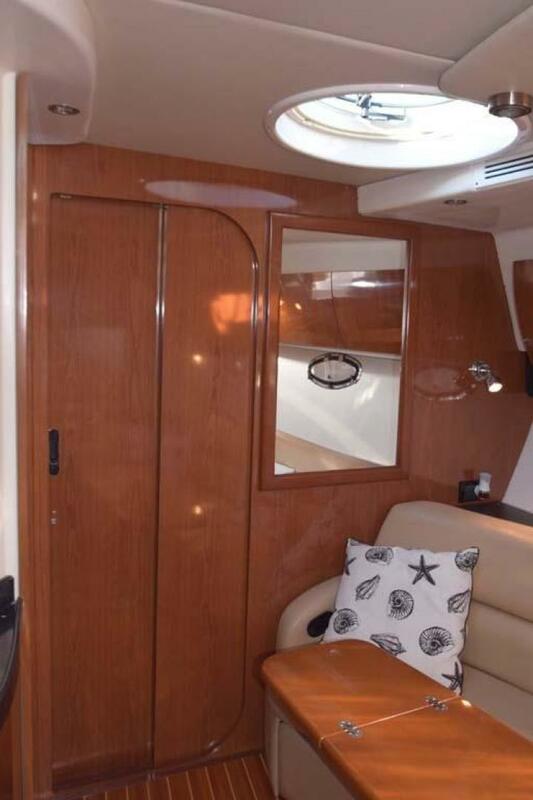 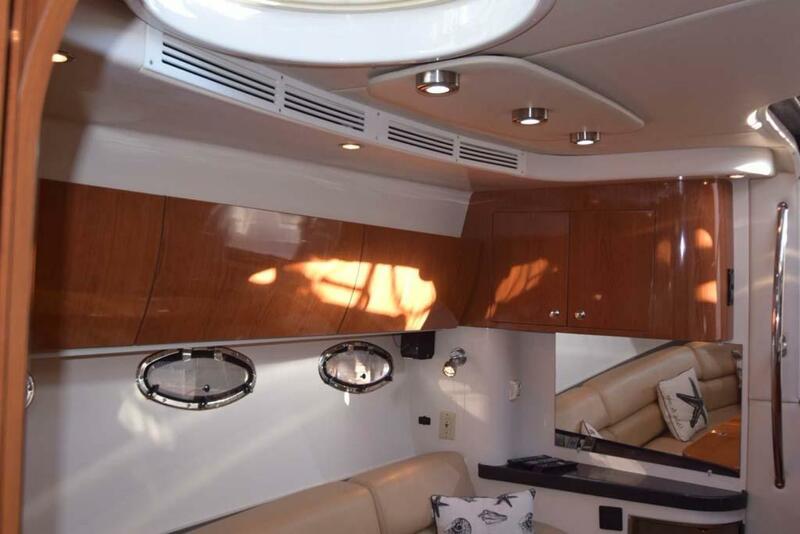 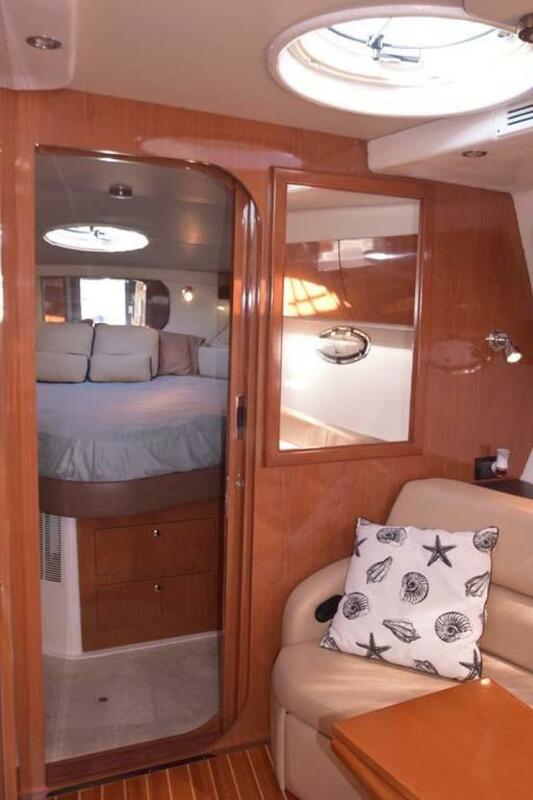 The cockpit has AC and the wet bar adds to the entertainment potential. 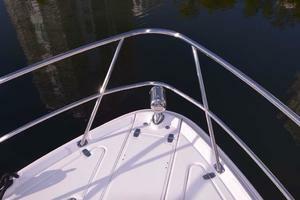 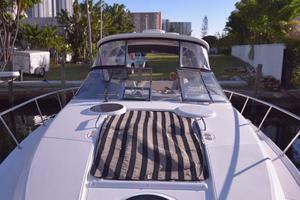 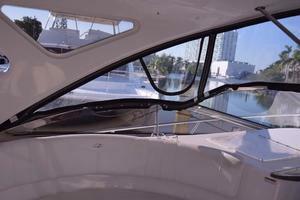 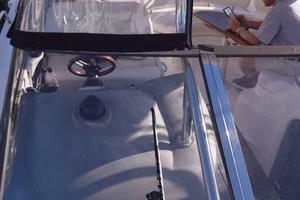 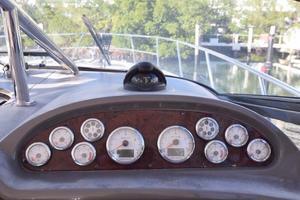 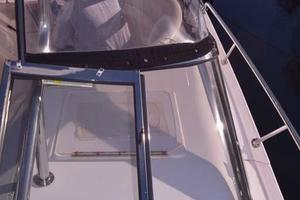 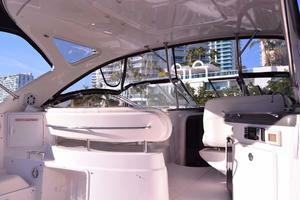 A walkthrough windshield provides access to the bow. 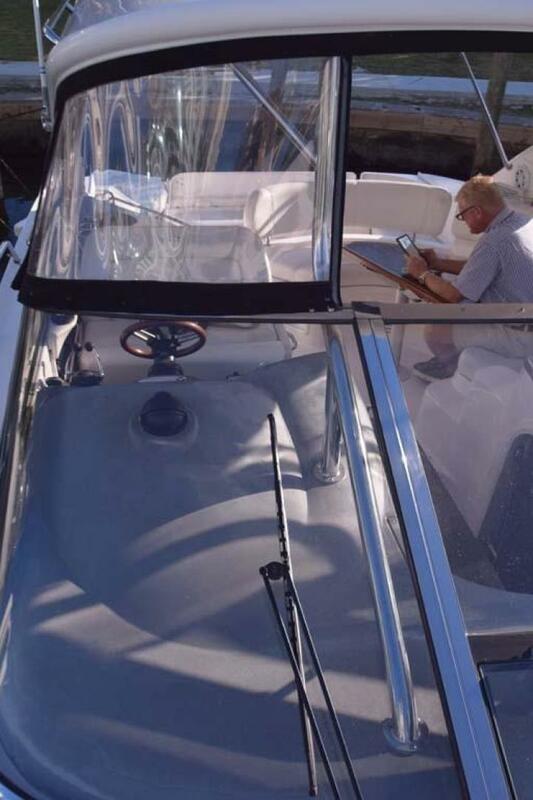 Note that the entire rear deck of the cockpit lifts hydraulically to permit walk-in access to the engine compartment from the swim deck. 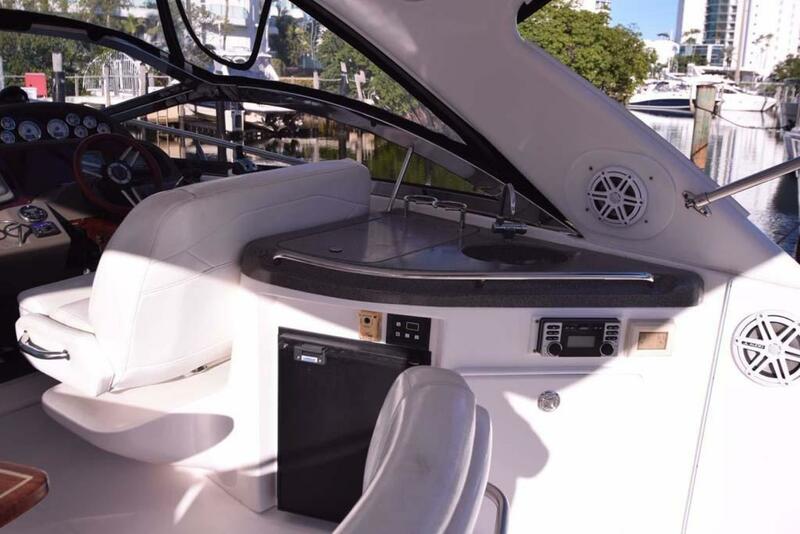 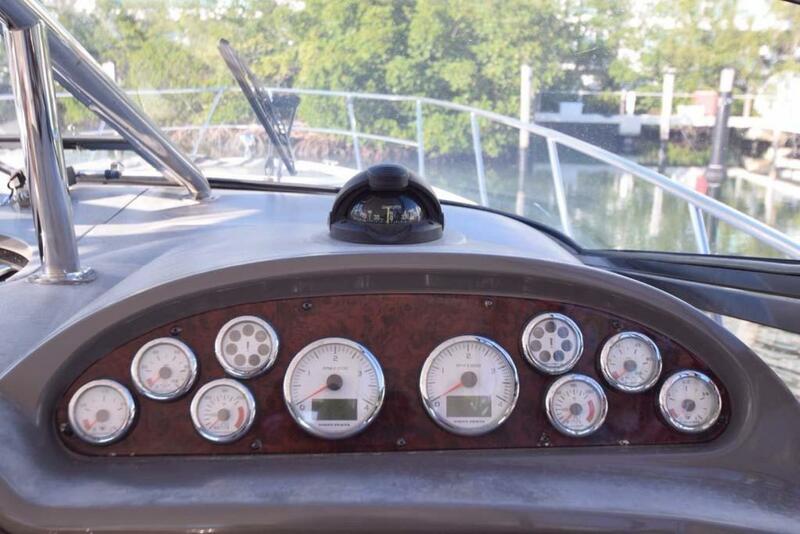 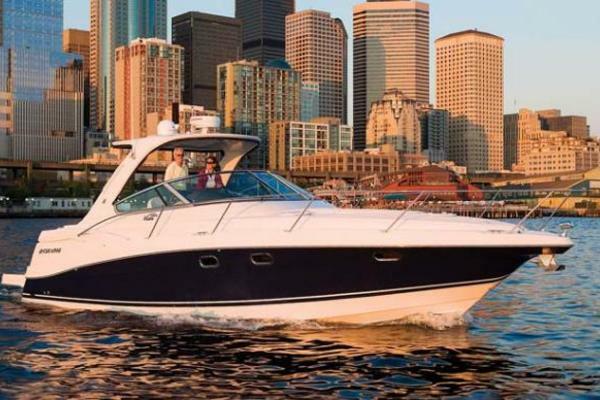 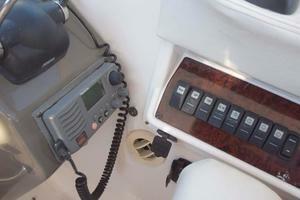 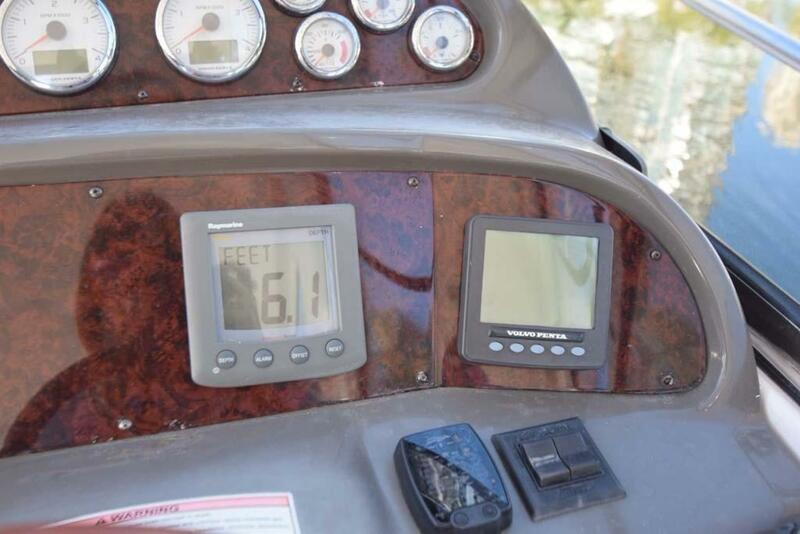 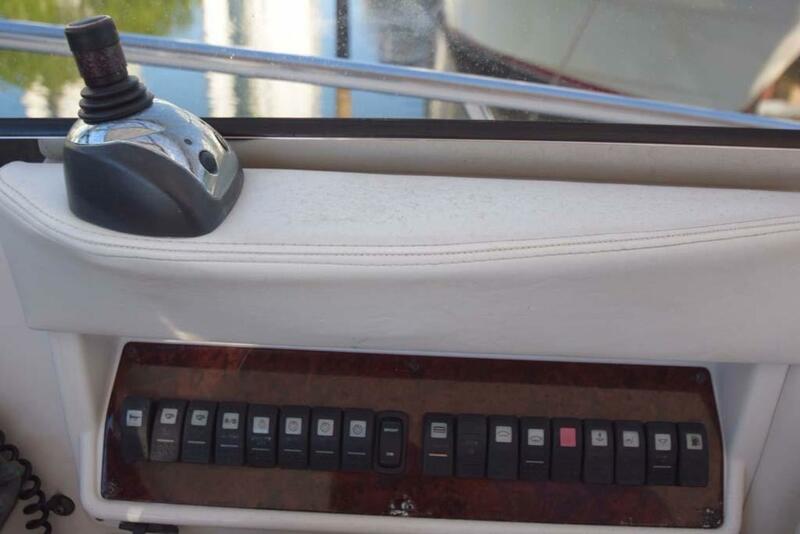 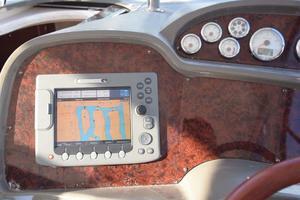 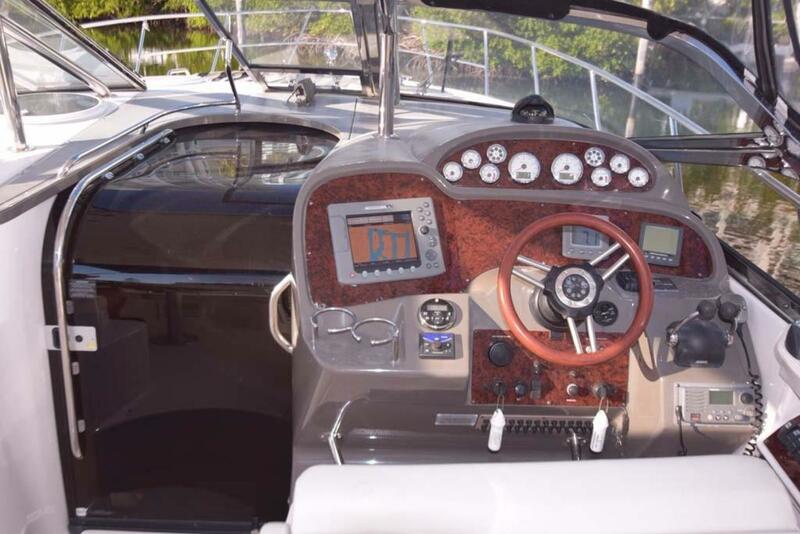 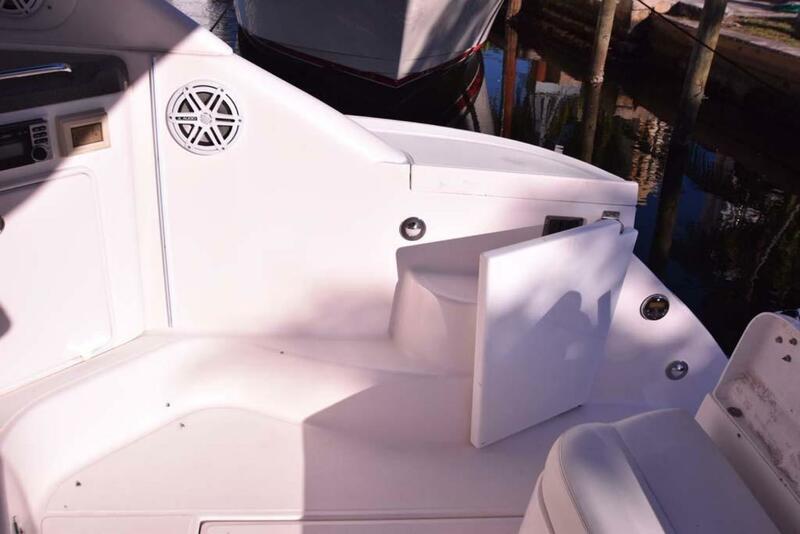 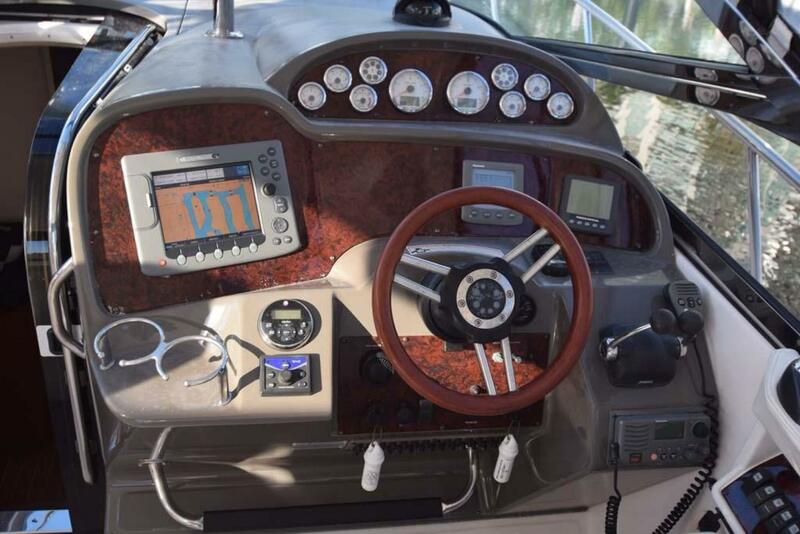 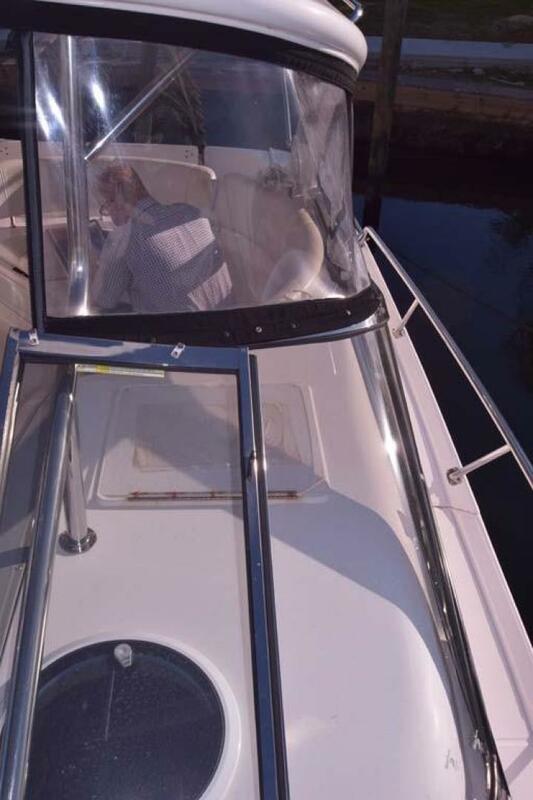 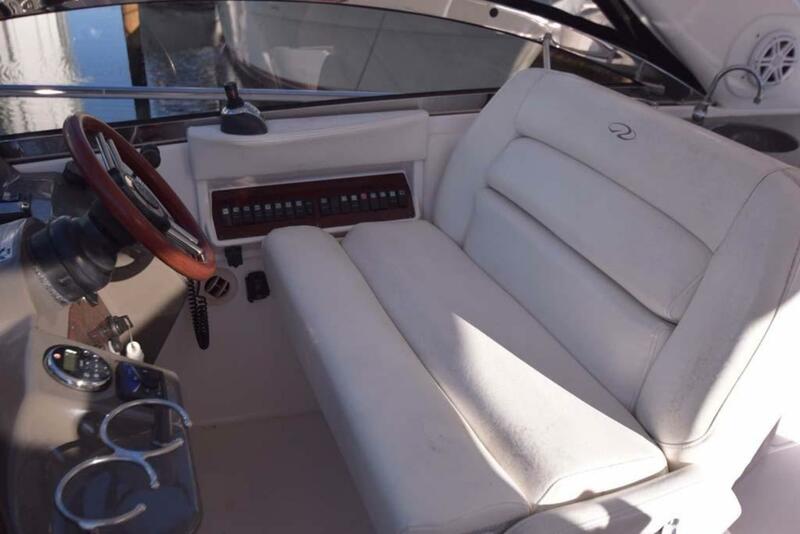 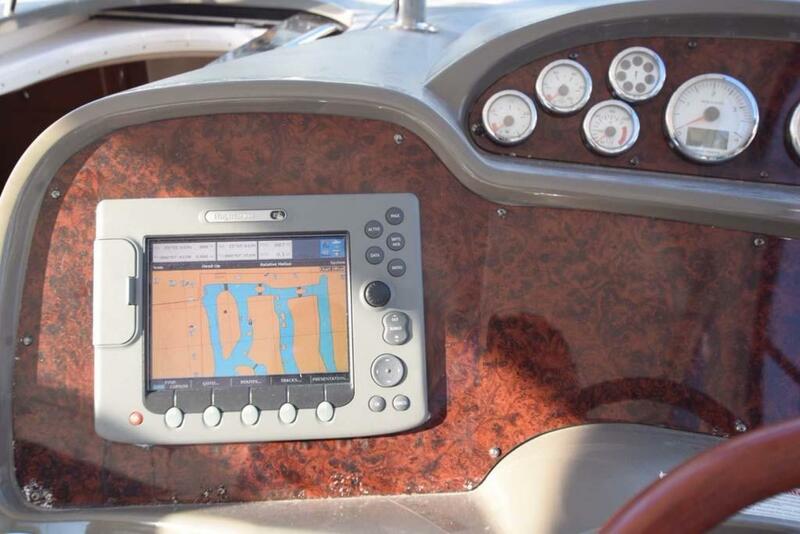 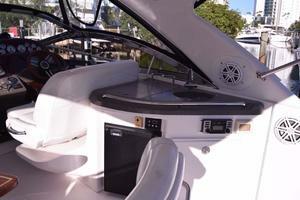 The IPS Drives are an intriguing feature on this boat allowing the pilot to turn the boat sideways forward or backward, at the touch of a joystick. 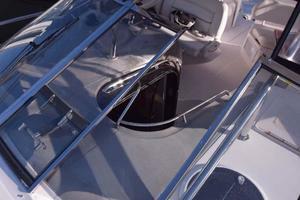 The forward facing propellers will afford ultimate control and power at the dock or at sea. 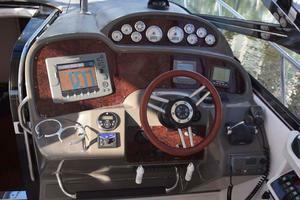 Fuel efficiency is an added characteristic of the IPS system. IPS Boat is 30% faster while you save 30% diesel compared to boats with same engines and straight drives.